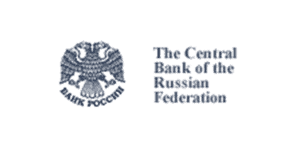 The Cyprus Securities and Exchange Commission (CySEC) has issued a statement warning the regulated forex Cyprus Investment Firms (the ‘CIFs’) about offering their services to the clients from Russia unless they have a license in that country. The Cyprus Securities and Exchange Commission, better known as CySEC, is the financial regulatory agency of Cyprus. It supervises and controls the operation of the Cyprus Stock Exchange, grants operation licenses to investment firms, including investment consultants, brokerage firms, and brokers, imposes administrative sanctions and disciplinary penalties. In 2016 the Bank of Russia introduced licensing for Retail FX brokers and only has given around ten Russian FX license. The licenses were mainly given to the Russia-based brokers and other forex financial institutions. Also as the EU regulatory framework states, the firms can only provide their services in jurisdictions in which they are authorized or regulated. So the companies regulated by CySec may not be able to offer their services in Russian unless they are also authorized by the Bank of Russia. However, a lot of brokers which are based in other form Russia countries have continued to offer the services to Russian customers from abroad. CySEC advises CIFs to consult with their legal consultants regarding the necessary measures required to ensure compliance with the Bank of Russia new regulatory requirements and reminds about the duty of CIFs to fully comply with the provisions laid down in the released statement.